It is no doubt that an attractive exterior adds eminence to any establishment, whether it be a shopping mall, small enterprise, hotel, or retail center. If you are looking for a good commercial lighting company that serves you in the most proficient way, Greenforce Outdoor Lighting is what you need. 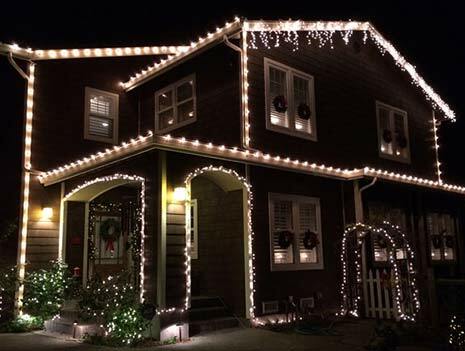 We provide residential or commercial lighting installation services and Christmas lighting installation in San Francisco, California to make your firm stand out and glow among others in the upcoming Christmas holiday. To draw more customers or clients. If you are looking for a strategy to draw more customers or clients, installing an attractive lighting system is worth the investment. The beauty of a good lighting system accentuates the features of your businesses. As a result, the business draws more people who can potentially become customers or clients. Join the holiday trend. Businesses with attractive embellishments always magnetize people. With the beautiful lights and striking decorations, you create a pleasant atmosphere and people will admire your businesses for that. Moreover, alluring lighting draws holiday shoppers, which is a good opportunity to increase your sales. Check our Holiday Light Installation services for different holiday seasons. Set your business apart from others. A good lighting system promotes pride and uniqueness which sets the business apart from others. It is a creative way of communicating why your business stands out among others. Therefore, considering a lighting system for your businesses, especially since Christmas is approaching, would be greatly beneficial. For a stunning Christmas decoration, you could buy a Christmas Light Installation in California. This entry was posted in Light Installation and tagged attractive facade, Christmas lighting, Lighting System, Xmas Light. Bookmark the permalink.